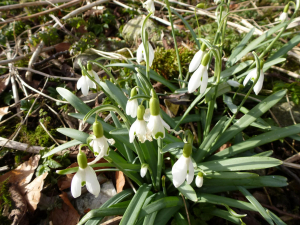 Observation - Snowdrop (Galanthus nivalis) - UK and Ireland. Description: The first sign of spring here. Now if only the snow would stop dropping. The first sign of spring here. Now if only the snow would stop dropping.